Make no mistake - real Sandalwood is Indian Sandalwood - Santalum album. Common Uses: Considered to lift depression, relieve stress and tension, calm aggression and anger. 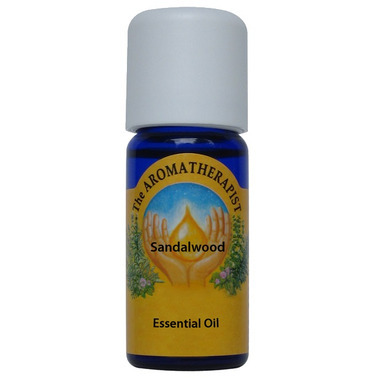 Sandalwood can be sedative in high doses and is often used for insomnia and sleep disorders. Commonly used to treat sore throat, laryngitis and dry cough. Traditionally considered to be the oil for the heart, used to regulate breathe and heart rate. Cosmetic/Skin Uses: Most commonly used to rejuvenate dry, mature skin. Sandalwood is thought to help the skin retain moisture and collagen, combating fine lines and wrinkles. Often used for wound healing, ulcers, cracked and chapped skin. A beautiful base note for natural perfume and cologne. Inside Info: A drop of Sandalwood between the eyebrows will help you to have calm, clear focus. This is most amazing Sandalwood I've ever smelled. Money well spent! Love everything from this brand.